Who said girls have to sit on the bench? Line up for fun, friendship and football at the one-and-only Girls F.C.! It all starts when Megan, who loves football, decides to try out for her school team. She tries everything to get the coach to notice her – even wearing a tiara! But nothing seems to do the trick. Then Megan has a brainwave: she could start her own team. An all-girls team! Now she just needs a pitch, a coach – oh, and ten other players. Watch out! Here come the girls! Girls F.C. 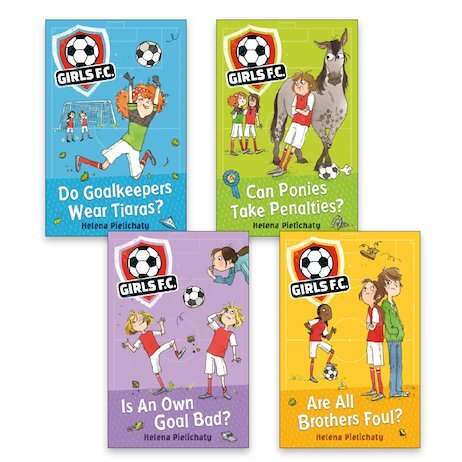 #1: Do Goalkeepers Wear Tiaras? Girls F.C. #3: Are All Brothers Foul?